Merging PDF Files Is Easy! Merge two or more PDFs quickly and with minimal effort! 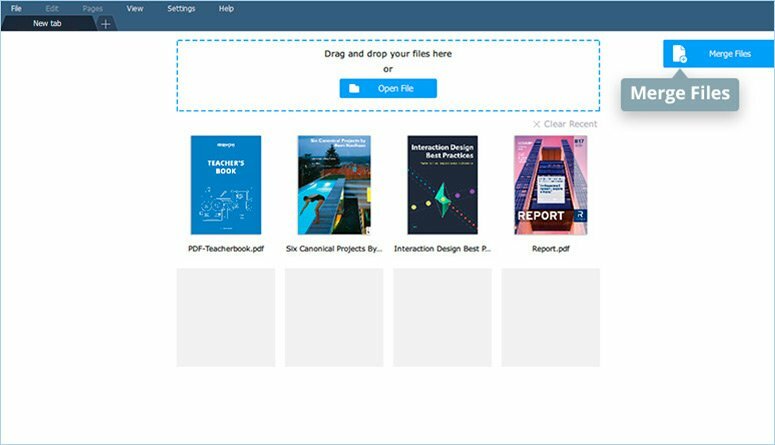 Movavi PDF Editor for Windows lets you merge individual pages or entire PDF documents, as well as reorganize pages within a merged PDF document. There are multiple instances when you might need the ability to safely merge PDF files – you may need to merge scanned documents into a single PDF, add a cover page to a presentation, or just copy an individual page from one PDF file into another. Many people turn to websites that offer editing and merging PDFs online. However, this is not a very secure option, as your documents could be stolen, infected with viruses, or corrupted to the point where they are not usable. 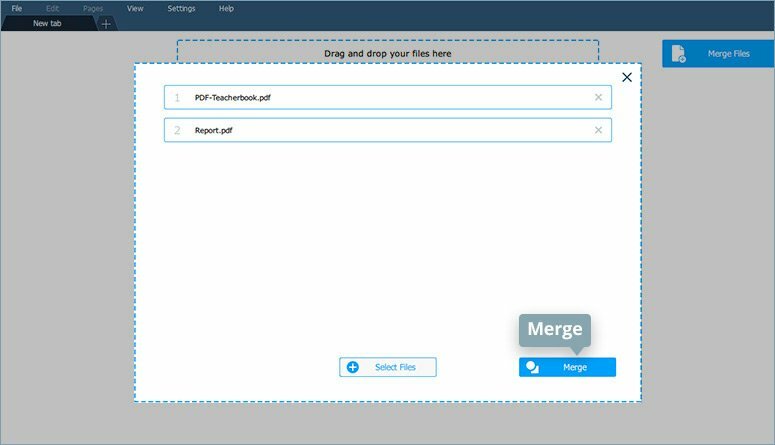 Check out these ways to merge your PDF documents with Movavi PDF Editor. 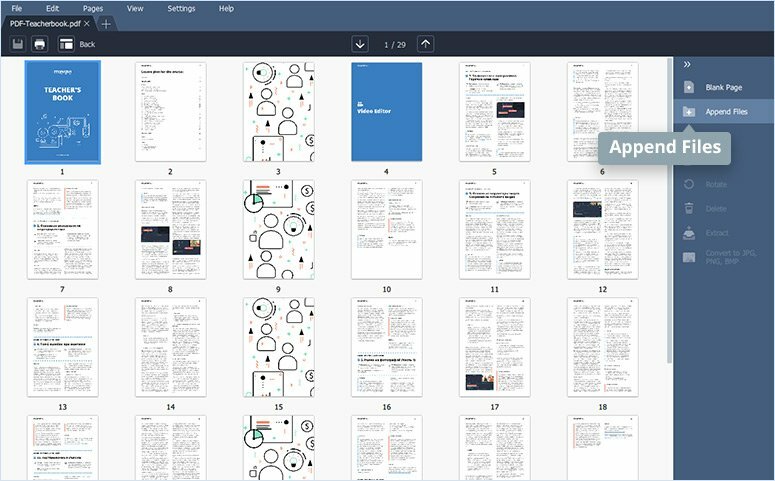 If you need to combine two or more PDFs into one large PDF, Movavi PDF Editor is at your service. Download the PDF Editor, launch the installation file, and follow the instructions on the screen. Run the program and click the Merge Files button. In the window that opens, click Select Files and choose files you want to merge. You can also drag the files into the app’s working area. You can rearrange the files you’ve added by dragging them into the desired order. To create a single PDF from these multiple documents, click Merge. The new document will open in another tab so you can do more editing if you wish. In the preview tab, you will see the merged file with all the pages from the files you added. The pages will appear in the order in which the documents were placed earlier. 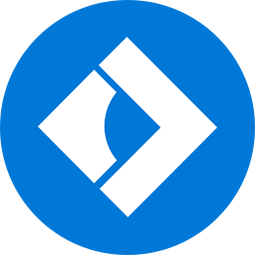 Any of these pages can be moved, copied, rotated, or deleted. If you need to add some extra blank space between your pages, use the Blank Page button in the right-hand panel. To save the new file, click File in the menu bar and choose Save As. Sometimes it's useful to add a batch of images to your PDFs to make the document more understandable and easy-to-read. The tool will automatically convert PNG and JPG images to PDF. Download, install, and run Movavi PDF Editor on your computer. Open a PDF file in the program and click the Manage Pages button in the top panel. You will see the layout of your document. To add images as separate pages, click Append Files in the right-hand menu and choose the images you want to add. The added image(s) can be moved within the document by dragging and dropping them to the desired location(s). You can also import and place an image directly on a PDF page using the Image option from the Edit drop-down list. To save the content to a new file, choose the Save As command from the File menu, enter a name for the file, and hit Save. 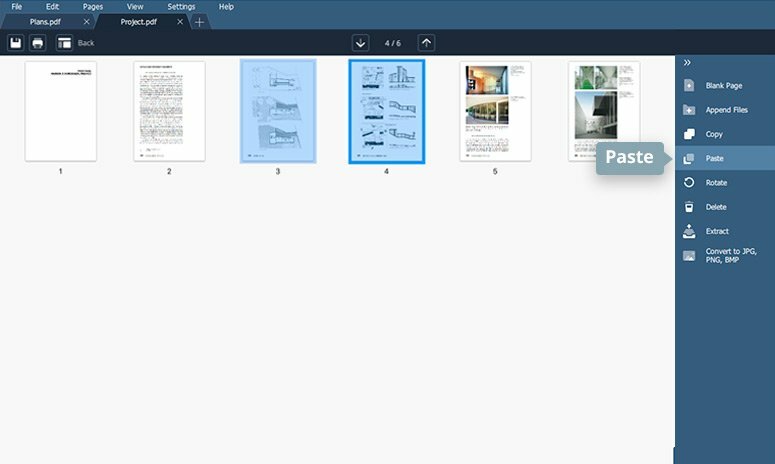 If you want to collect pages from different PDF documents and merge them into a single PDF, we recommend you use tabbed editing. First, download and install the software on your PC or Mac. Open each source document in a separate tab using the Open File button. Make sure that you have selected the page management mode in each tab. Then, holding down the Ctrl key, select one or more pages in one document, copy them with Ctrl+C, open the tab containing the target document, and paste the pages with Ctrl+V (or choose Paste in the right-hand menu). You can then manually rearrange the order of the pages in the final document. To save changes to the current file, use the Save command from the menu bar. To save a copy of a PDF, use the Save As command. 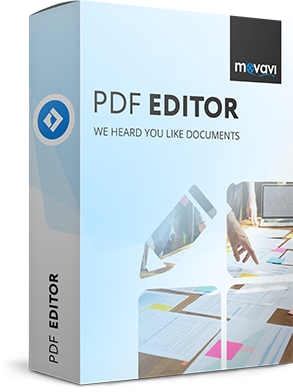 Creating and manipulating PDFs is so easy with Movavi PDF Editor! Try it now and merge your documents in no time.